If you have a newborn, you probably know that you need to start equipping with baby gear before you can take them anywhere. The first trip is the one home from the hospital, with many more to come. However, the variety of car seat models for infants and newborns is big nowadays which create much pressure to pick the safest one for your little one. Many parents get overwhelmed with this variety of infant car seats. From convertible ones to lightweight seats, car seats for small cars – the list goes on and on. However, we first need to know what is an infant car seat. What Is An Infant Car Seat And When Does Your Child Need One? Infant car seats – Ones that support the average weight limit of no more than 40 pounds and that can be used rear-facing. They often come with a handle for easy carrying and transporting in and out of the car (which helps when you don’t want to wake your sleeping baby). Convertible car seats – These car seats begin with the infant position (rear-facing) but can be later configured to the forward-facing and booster position as your child grows. They are good because they give you a great value for money and help you adjust your seat when your baby outgrows the rear-facing height and weight limits. For a detailed review of convertible car seats, visit this link. The size of your car – You should choose an infant car seat that fits your car properly. Plus, you don’t want a seat that will be difficult to move, install and uninstall because of the limited space in your car. Car seat movement – If you are moving the seat in and out of your car, you should definitely consider how portable your car seat is. This is usually one of the most important issues for parents. Brands and models available – There are many brands that specialize in car seats and ones that only have one or two models. Make sure to choose a reputable brand if you want a top quality infant seat. Cleaning/maintenance – We all know that babies are messy. So, cleaning your car seat shouldn’t be an afterthought. Instead, you should look for models that have replaceable and machine-washable seat covers. Comfort – Comfort is probably the priority and something you should ensure for your infant. From the head space to the padded materials, you should make sure that your car seat has enough head support for any ride (long and short). Based on all of these considerations, we are listing the top infant car seats below. This model comes in the regular and Elite version and pattern choice according to your needs. For many, it is the best infant car seat out there – and a bestselling model because of its structure and durability. Many parents love it because of the brand’s reputation on the market. Basically, this products comes with a base that easily attaches on (and detaches from) your car using the Latch system or the conventional seat belt. The form and fit of the seat are another thing that is great – and something that does a really nice job supporting even the smallest infants weighing from 4 to 10 pounds. Thanks to the included infant padding insert, the additional body and head padding will give your baby more comfort – and can later be removed to give them more room. When it comes to the differences between the B-Safe 35 and the B-Safe 35 Elite model, they basically include the elite add quick-adjust head protection, the adjustable shoulder straps and a bit more padding with higher quality fabric used in the Elite model. And when it comes to downfalls, the weight of the infant car seat is one of the biggest concerns out there. With a plusher and premium-feel fabric, the B-Safe 35 model is one of the best infant car seats out there. Ade in the USA and coming in a variety of colors and patterns, this model offers great value for money. 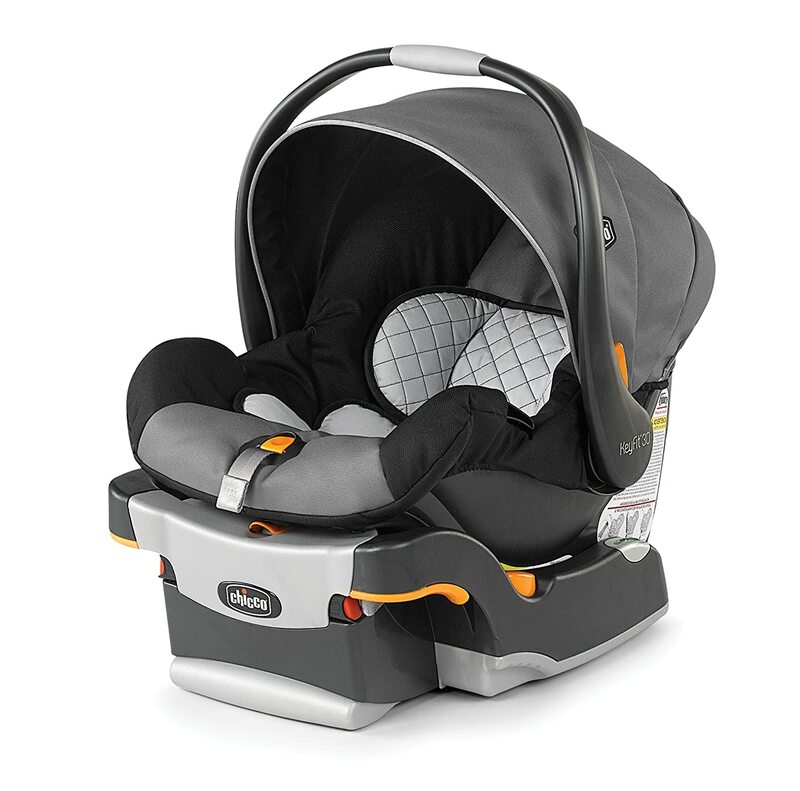 Chicco’s KeyFit 30 infant car seat is another one of the top-rated and best selling infant car seats on the market. Realistically, this is one of the best models out there because of several facts. First of them is the amazing design and the great pattern and color options. The Chicco infant car seat looks very premium – and the looks are not the only thing that is promising. The Chicco KeyFit comes with a base that can be easily attached to your car with the Latch system or a conventional seat belt. 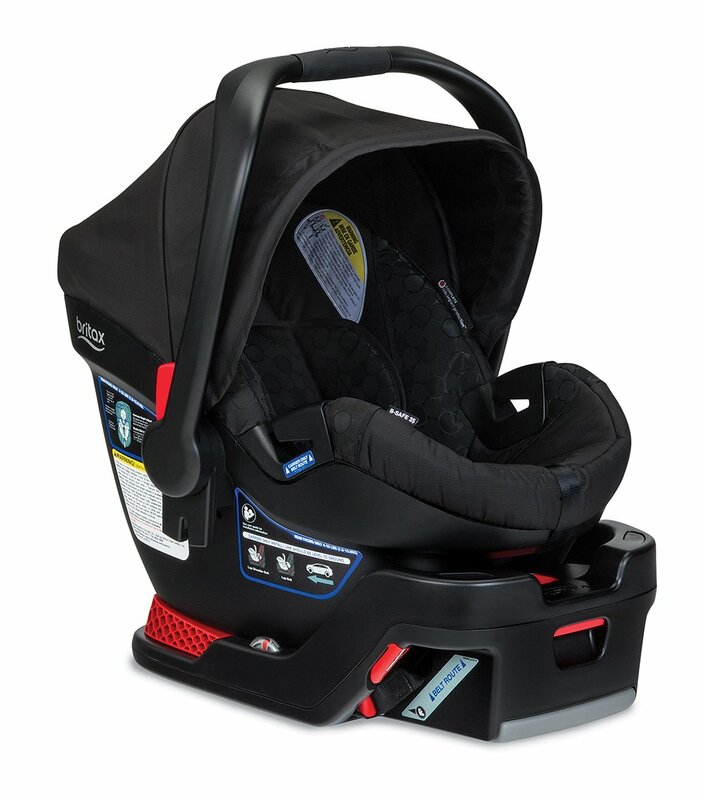 For many, detaching and attaching this seat from the base is easier than the other infant car seat models. Another fact worth considering is the safety technology used in this seat. 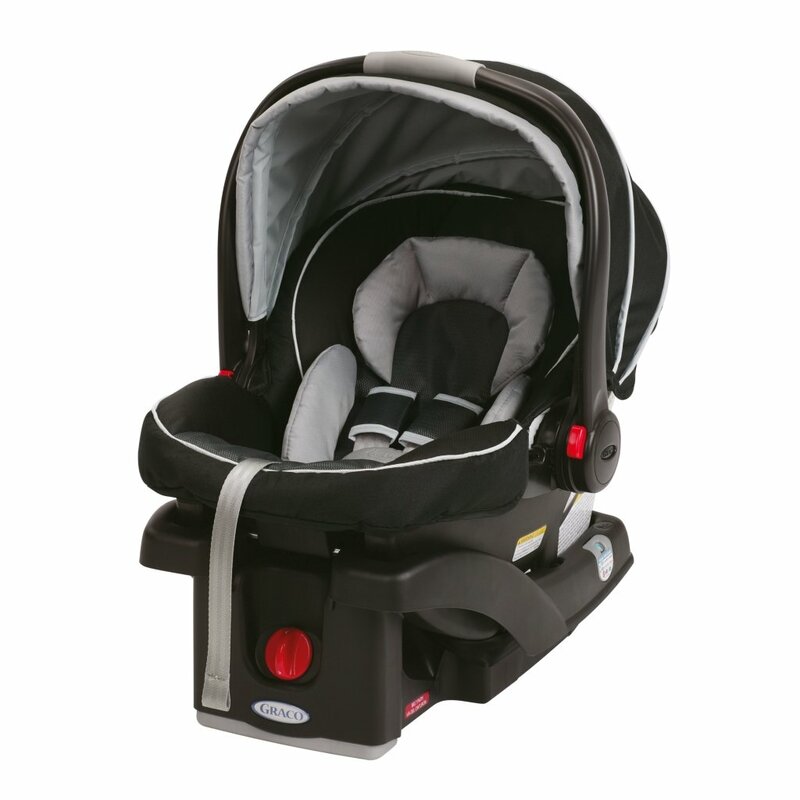 The SafeCell tech and steel-reinforced frame supports heavier babies up to 35 pounds. This makes the seat bigger and heavier and doesn’t compromise any safety or convenience. The RideRight bubble-level indicators, EPS foam that absorbs energy and premium LATCH connectors, the form and fit of this seat are excellent. Also, the infant insert comes with the seat which supports very small infants and gives most of the added comfort. The UPPAbaby MESA infant car seat is among the more expensive options than most of the infant car seats. However, the price that you pay here offers some amazing features and a safety reputation that makes it worth the cost. Simply put, this infant car seat is one of the easiest to install and use. One of the reasons for that is the automatically tightening LATCH system that comes with a convenient indicator that tells you when the base is fully secured to the seat. If you are using your vehicle’s belts, it has a lock-off and a 4-position food that helps you level the base correctly in your vehicle. There is a level indicator on the side that shows the level on which you connected the base. Additionally, the MESA infant car seat features headrest and shoulder straps that adjust easily between five height positions. There is no need for any rethreading – and there are a lot of great convenience factors with it. When it comes to safety, the seat features nice and plush dual-layer side impact protection which performs up to 4 times better than on the side impact crash tests (according to UPPAbaby) than most of the premium infant car seats on the market. This helps to absorb impact in the event of an accident. In such case, the infant car seat uses the energy-absorbing EPS foam and goes up to 35 pounds of weight capacity (32” height). At a weight of only 10 pounds, there is a lot of convenience and tons of safety features given how low the overall weight of the infant car seat is. The LATCH technology and buckles fit perfectly and the installation of the base and seat is very simple. This is one of those affordable infant car seats that are a great bang for the buck. 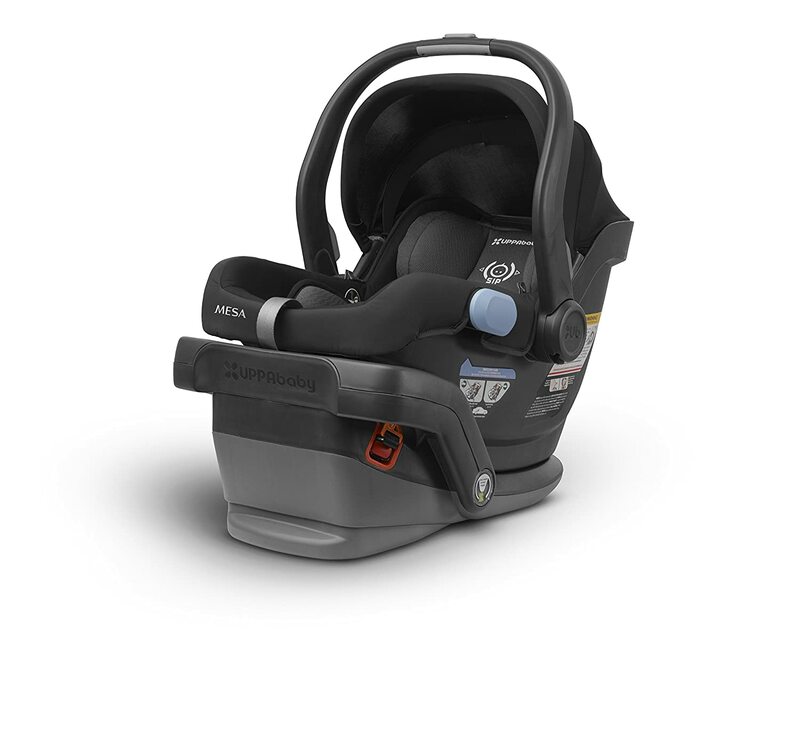 The Safety 1st Onboard 35 infant car seat model blends a ton of great features and options. For the price, it is definitely a stealer and a product that satisfies the basic needs of every parent. The patented “Air” technology uses the Air Protect side impact protection system which makes this infant car seat look puffy on the sides, head and shoulders. The comfy, salient and safe add-ons in the form of pillows have increased sales and made this one of the bestselling products online. Another important safety feature you can find in this chair is the GCell honeycomb HX energy-absorbing foam that is used in the sides of the infant car seat – in order to protect the torse. The rear-facing baby car seat therefore supports babies from 4 to 35 pounds with an infant insert. For very little babies, there is a preemie insert and super-low harness settings too. All you need to do to install the Safety 1st infant car seat in your vehicle is push it on the base and click. The cover can be removed and machine washed too. Despite the need for rethreading from the rear of the seat and the 3 crotch buckle positions that require rethreading too, it is a great choice for many parents. This is the ideal option and one of the all-time best selling infant car seats online. Believe it or not, Graco has been in the car seats market for more than a decade. The SnugRide line of car seats has the same reputation. Stylish and available in a lot of funky patterns and with lots of add-ons, the Graco SnugRide click connect infant car seat works pretty nicely and every parent likes it. The infant car seat is able to hold babies as small as 3 pounds (using the infant insert) and can go up to 35 pounds with a 32” height limit. The LATCH system (“hook” style) attaching is also present – and if you don’t want to use it, there is the car’s safety belt system that you can use. Side impact tested and with EPS energy absorbing foam for safety, the Graco infant car seat mimics the technology of the best-rated infant car seats and makes everything from installation to movement simple and easy. The entire combo (seat and base) weighs around 15lbs which makes it perfect for carrying around, up and down the stairs or just for general use. Many moms found that this is one of the unique selling points and a feature that helps them choose this product. 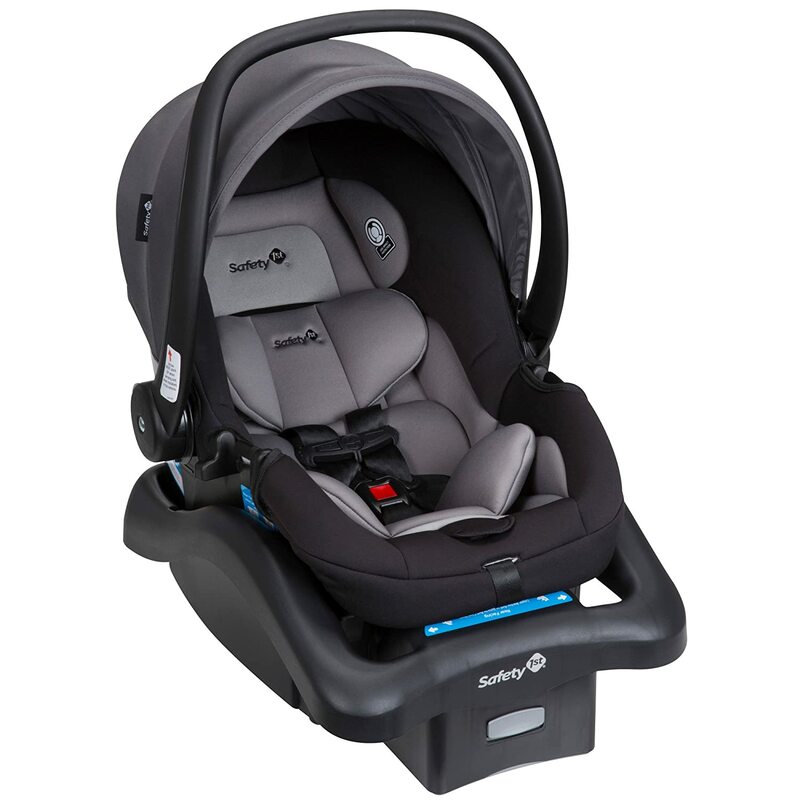 The SnugRide is also one of the least expensive infant car seats on the market which gives another set of extra points. Even though some of these infant car seat models are more expensive than you think, there is no price that we can put on our kids’ safety. Also, they are the best models on the market with the safest technologies and the most comfortable and plush cushions and padded inserts. 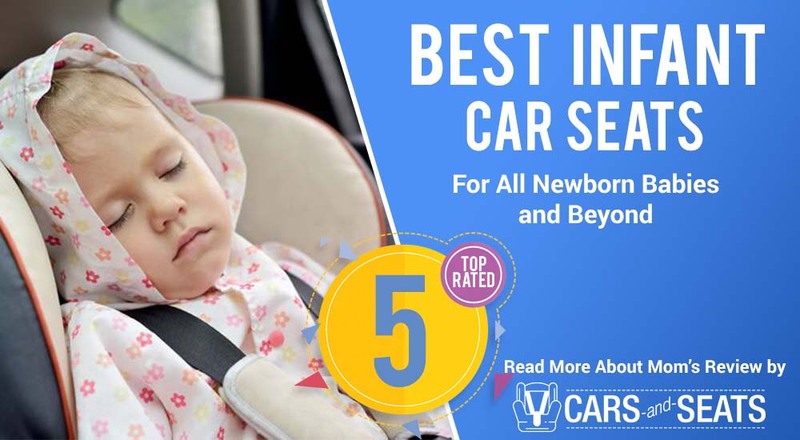 Most importantly, all of the above mentioned models are ranked among the best when it comes to filters like Baby Weight, Car Size, Versatility, Stroller Types, Safety, Height Ranges and more. We hope that this review helped you choose an infant car seat that works for your budget and needs.